Willis Edwards was one of the most loyal club servants that Leeds United ever had, and his association with Elland Road lasted from 1925 to 1960. He played for the club for 18 years before going on to be a mainstay of the club's backroom team. He was not successful when he took over as manager after the war following the dismissal of Billy Hampson, but he remained a loyal servant to the club for another decade. Born in Newton, near Alfreton in Derbyshire, on April 28 1903, Edwards followed the example of many young men in the North and Midlands in the first half of the century by going down his local pit after leaving school. He was a notable footballer with his local team, Newton Rangers. 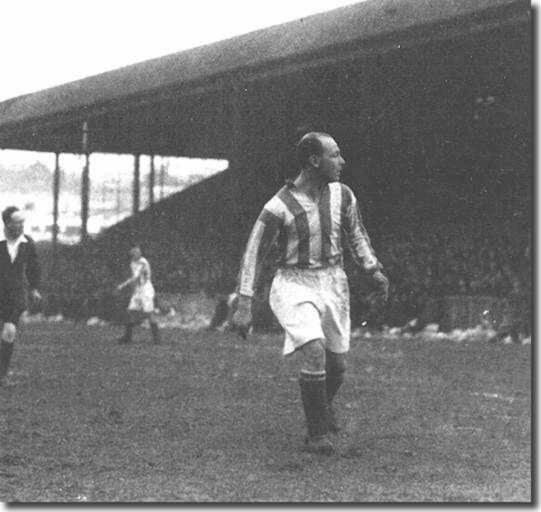 He eventually managed to get a trial with First Division giants Blackburn Rovers, who had won the League championship in 1912 and 1914 and the FA Cup five times between 1884 and 1891, but he never actually made it to Lancashire. Local club Chesterfield signed him up before he could make the trip to Blackburn and he was started on a wage of 30 shillings a week. Chesterfield had lost their League status in 1909 and didn't recover it until the inauguration of the Third Division North in 1921. Although the teenage Willis Edwards was full of promise, The Spireites must claim credit for helping him realise this promise through their careful handling and development of his raw talent. Having nicked him from under the noses of Blackburn, they did not rush him on, and were prepared to rest him when it would have been easy to put the team's interests first and keep playing him. The young half back made his first appearance for the club at 16, in a match against Grimsby in 1919 and quickly made himself a firm favourite with the fans. He is still popularly regarded as one of the best players ever to play for the club, but they could not hold onto him forever. Sheffield United sent their former England player, Ernie 'Nudger' Needham, to run his eye over the young Edwards, but Needham was not impressed and told the Sheffield club that Edwards was too small to make the grade. It was a bad misjudgement because Edwards went on to outgrow Needham and make his mark as an England international. Sheffield United's loss was Leeds United's gain and the struggling Yorkshire club eventually secured the services of an outstanding footballer, paying Chesterfield £1,500 for his signature in March 1925. Leeds United were then in the throes of a desperate fight to preserve their first division status. By the time they had snapped out of a run of nine matches without a win by beating Liverpool 4-1 at Elland Road on 28 March, manager Arthur Fairclough had been forced to draft in new players, Edwards among them. They rushed him into their battle against relegation immediately alongside their other recent buys, Tom Jennings and Russell Wainscoat, and the trio helped Leeds escape the drop by the skin of their teeth. Edwards was a key figure. Without flamboyance, he nevertheless timed his tackles perfectly and passed the ball with superb precision, relying on technique rather than brute force. He was never booked or sent off, his manner an illuminating contrast to that of defenders who bit legs for a pastime. Edwards featured in many a dream team of the day. "An ideal half back who could go forward or back at any time, and all the time," said his Arsenal and England contemporary Eddie Hapgood. Glasgow Rangers and Scotland international Alan Morton, known popularly as the 'wee blue devil', viewed Edwards as "a really grand all round player, so firm on the ball yet so light on his feet and accurate in his passing." He developed remarkable ball control, fine heading skills and became a master of the long, pinpoint pass. For a long time, Leeds fans would talk of one match where, instead of heading out of defence, Edwards performed a handstand and backheeled the ball away. His form was excellent despite United continuing to struggle in the first division and he forced his way into the England team at the end of the 1925-26 season. He was called up to play against Wales, the first of a total of 16 caps, making his debut in a 3-1 defeat in March. He kept his place for the match in April, against Scotland, which also ended in defeat and after missing the next game, became an England regular, missing only five games before he lost his place permanently during the 1929-30 season. Even Leeds' relegation to the Second Division in 1927 and 12 months in the lower flight could not dislodge him, and he played three of his last four internationals in partnership with his club colleague Ernie Hart. The two half backs were joined at Elland Road in 1930 by hard man Wilf Copping to form one of the strongest half back lines in the League for the next four years. Copping moved on to Arsenal in 1934 and Hart joined Mansfield in 1936, putting an end to a wonderful formation, but Edwards remained a regular at Leeds until 1939, with the club playing every season bar two in Division One. 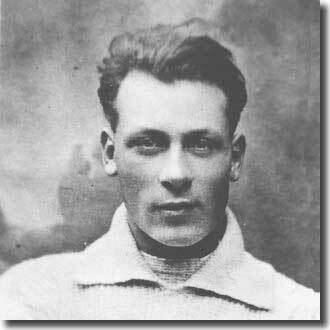 The partnership with Copping was renewed for a few games when the Arsenal man returned to Elland Road in March 1939. Edwards continued playing in emergencies until 1943, when he was almost 40. He developed into the finest wing half of his day. His splendid ball control, incisive passing and supreme heading ability earned him 16 England caps, 11 appearances for the Football League and 444 games for Leeds in a marvellous career. 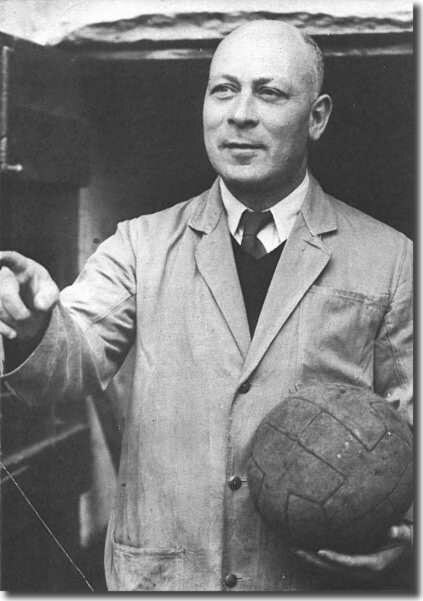 Following his retirement from playing, Edwards became assistant to trainer Bob Roxburgh, with responsibility for the reserve team. In April 1947, Leeds were relegated after a disastrous season and manager Billy Hampson was sacked. Edwards was asked to take his place with a handful of games left that season and set about the task of building a team good enough to win back United's Division One status as quickly as possible. Edwards worked hard on improving the fitness and skills of his squad, but it was to no avail as the slide continued. He seemed powerless to stop a season long struggle against relegation to the Third Division and muddled through most of his reign. He was a benign man with a wonderful playing pedigree, but lacked the brutish drive to dismantle and reconstruct a team that was in such poor shape. Full back Jimmy Dunn sensed in Edwards uncertainty and a lack of conviction. "He seemed to be picking the team with the directors and trainer. I think he was just a figurehead; not management material. There was a sense of the club drifting." Eventually Leeds managed to secure their Second Division survival with an 18th place finish. The board finally accepted Edwards' unsuitability for the role of manager and immediately demoted him back to the role of assistant manager after only twelve months as manager. He had not been a success and was thought to be a pawn of the Leeds board. Edwards was undoubtedly a strong and gifted footballer and leader on the field but he did not have the necessary strength of character and ruthless streak off the field to succeed and was clearly out of his depth. An experienced and colourful replacement was found in Major Frank Buckley, who left Hull City to take control at the end of the season. His autocratic and no nonsense attitude was in stark contrast to the more gentlemanly approach that Edwards had brought to the role. His demotion and the traumas of the struggle did not damage Edwards' love for the club, however, and he remained a loyal member of the backroom team for well over a decade, stretching his association with Leeds to 35 years. In fact, one of his earliest acts after giving way to Buckley was recommending the splendid Tommy Burden to the new manager. He died in October 1988 in Leeds, aged 85, having spent the last years of his working life employed in a jam factory.